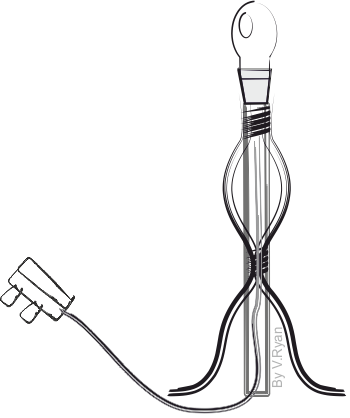 Design a range of ideas for a table lamp/ task lamp, based on the Thonet style. Add notes to help explain each idea. The lamp below, is based on the Thonet style, but manufactured from steel (black mild steel or wrought iron). Small nuts and bolts hold the lamp together. It can be sold as a flat pack, if disassembled. The lamp below, has shapes / forms inspired by the Thonet No14 Chair. It could be manufactured from steel, or even a plastic such as polycarbonate, polystyrene or even nylon(through injection moulding). The lamp below, has three legs for stability. Each leg is permanently fixed to the other with steel wire. A solid wood version, could be held together by small screws, allowing the lamp to be dismantledas a flat pack. These lamps are based on the backrest of the Thonet No14 Chair. They could be manufactured from solid bentwood, or even a plastic such as polypropylene. The polypropylene version would be as safe as the bentwood version, as PP is an insulator and will not conduct electricity, in the event of a fault / accident. 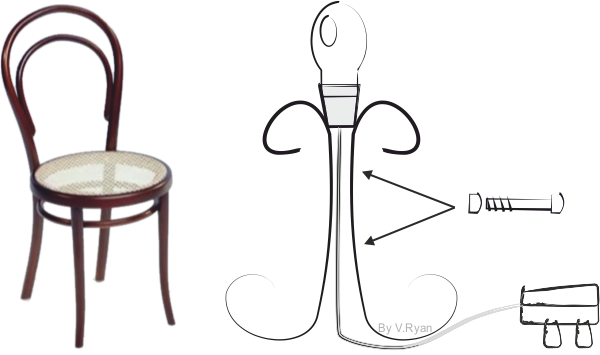 The lamp could be manufactured using the same tried and tested techniques, developed by Thonet, for the No 14 chair. If PP is selected as the material, injection moulding or blow moulding could be the manufacturing process. Tyhe lamp below is very similar in design to the one above, but it can be used as a desk lamp or inverted and used as a ceiling lamp. 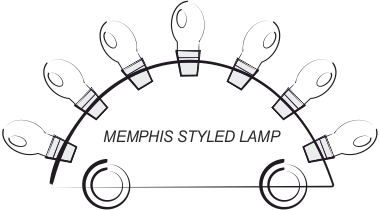 It is a combination of two styles, Thonet and Memphis (see opposite).